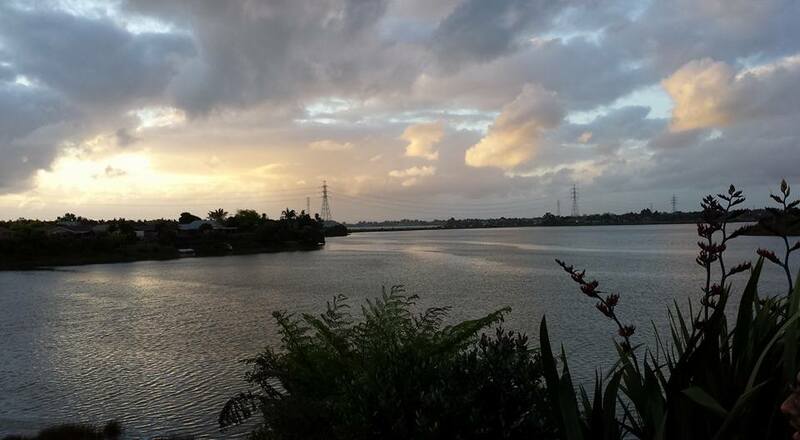 The Pahurehure Boardwalk and Esplanade Walkway is a walk around the Pahurehure Inlet in Papakura. 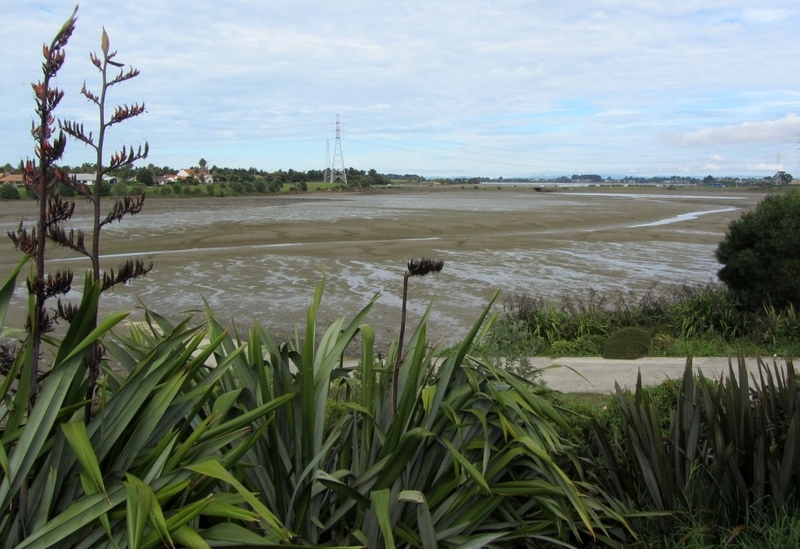 Pahurehure is reported to mean ‘angry water’ in Māori, because of the wild and turbulent waters of the Manukau Harbour. I started the walk at Wharf Street Reserve, next to Prince Edward Park, at the end of Wharf Street (off Queen Street). The path between Ray Small Park (off Elliot Street) and Wharf Street Reserve is currently closed due to unstable cliff conditions. 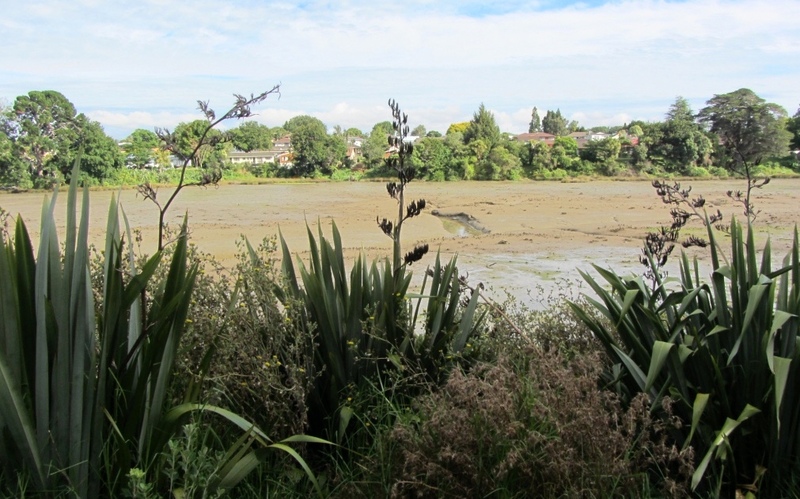 There are plans to upgrade this section of the walkway by building a new 2.2 metre wide concrete path and 2.2 metre wide boardwalk. 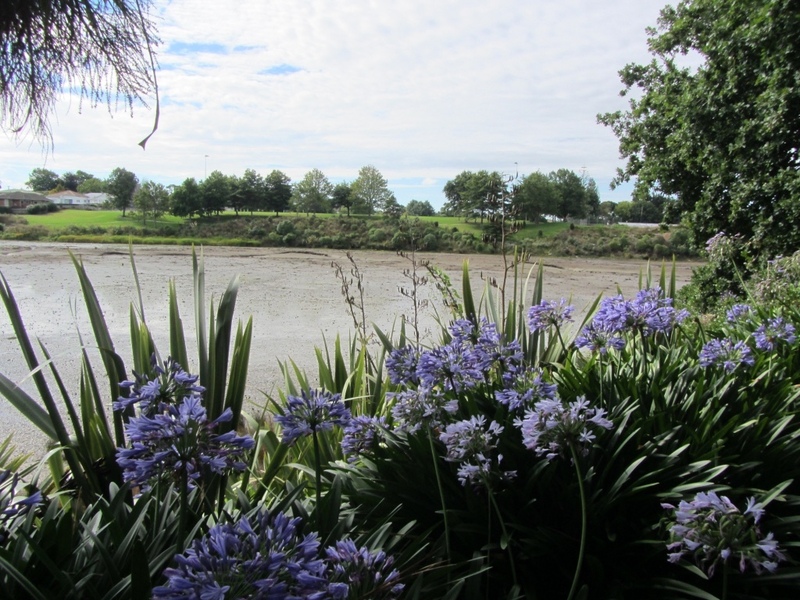 The pathway from Wharf Street Reserve follows the Pahurehure Inlet and Prince Edward Park. This part of the walkway offers plenty of shade from the green leafy trees. 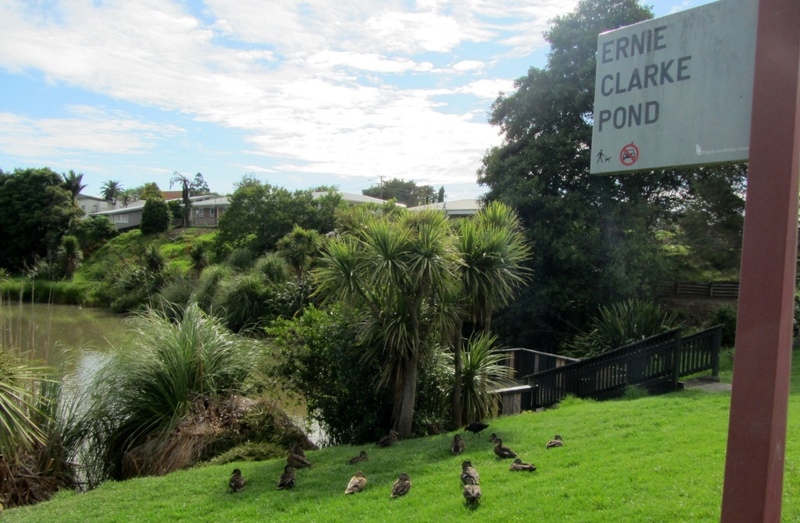 The walkway comes out at Katavic Park, off Gills Ave.
Before following the footpath along Gills Ave cross the road to Ernie Clarke Pond to see the ducks and pukeko roaming the grassy slopes and water. There is a viewing platform built looking out over the pond. 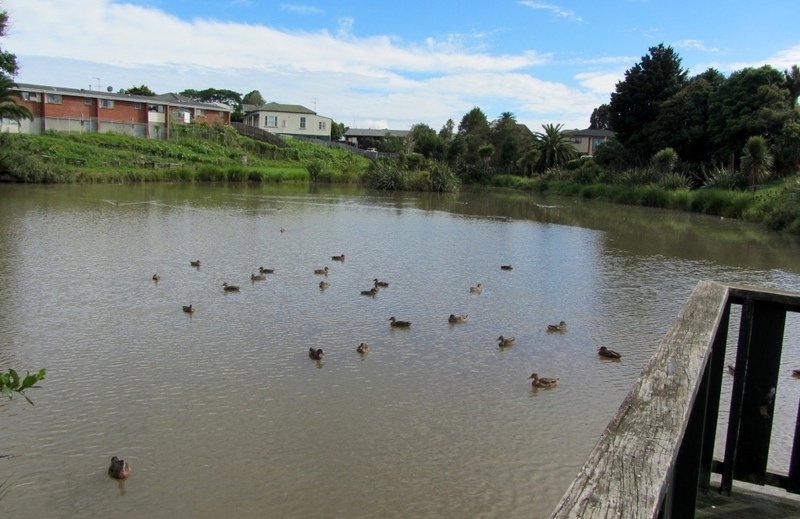 After seeing the ducks I walked along the Gill Ave footpath to where the pathway runs alongside the other side of the Pahurehure Inlet. 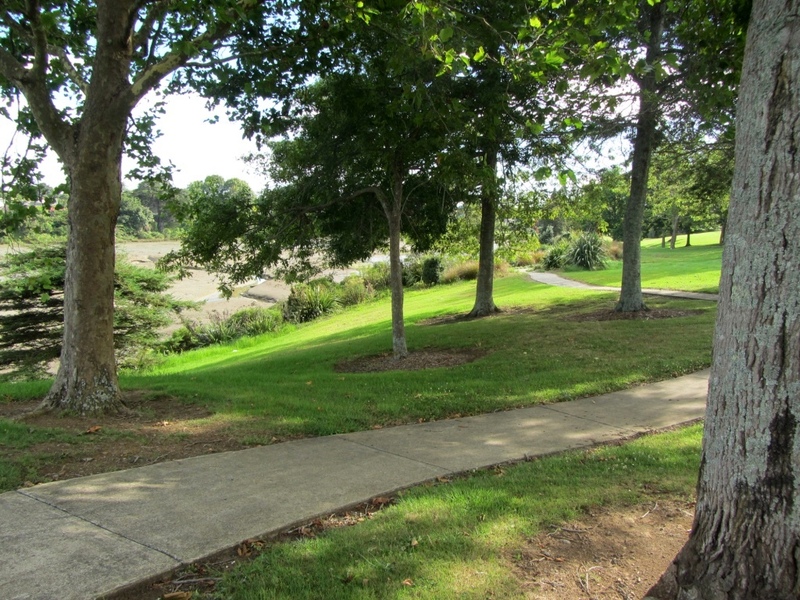 This part of the walkway, which was built by Rotary Club of Papakura, comes out by Young’s Park and the Papakura Sea Scout Den. 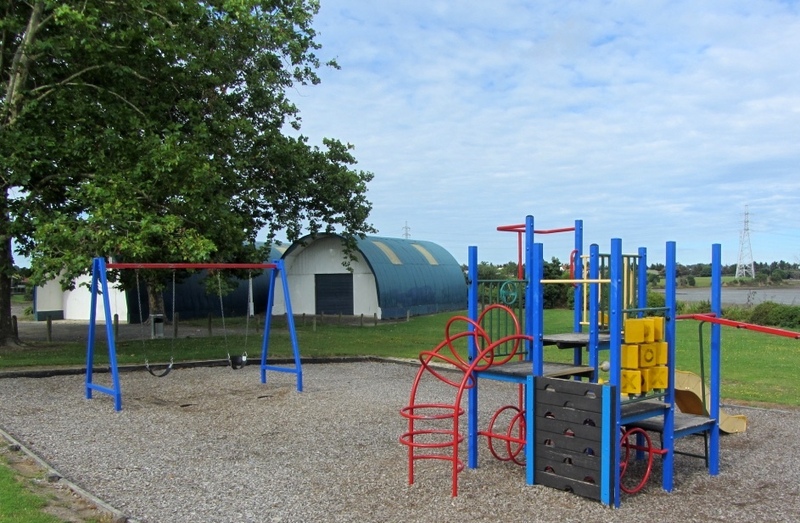 Young’s Park has a children’s playground, public toilets and BBQ facilities.